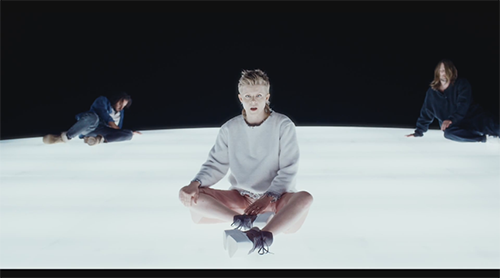 The next track from Röyksopp & Robyn’s amazing collaborative mini-album, Do It Again, to receive the video treatment is the moody and epic Monument. Probably the albums most emotional moment, and probably the most ripe for visual interpretation. Max Vitali directs the clip which had a distinctly abstract Sci-Fi vibe to it. All stark tones to match the synth drones. The camera work really flows with the song on this one. Röyksopp & Robyn’s Do It Again is out now.